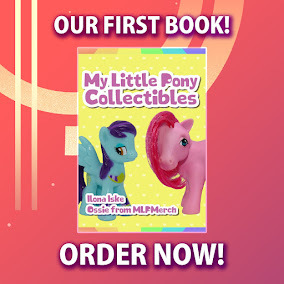 After the complete mane 6, two of the CMC members, Princess Celestia, DJ Pon-3 and even Nightmare Moon, Egmont comes with a new style of MLP magazine figures. 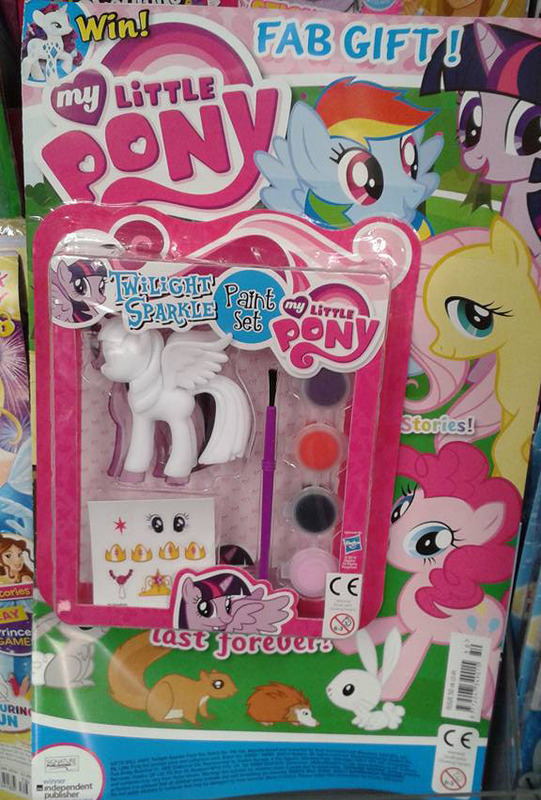 They've re-issued the alicorn Twilight Sparkle figure for the UK magazine, but as a DIY kit. The figure comes unpainted and with a brush, 4 colors of paint and stickers to decorate your very own magazine figure. While the magazine figures by Egmont are famous for their show-like design, people might be disappointed by this DIY kit, as you might never get the design down like they released Twilight originally. But I bet plenty of younger fans would like to decorate their own mini figure. For now the only question that we'd like to see answered is: how many DIY kit will there be before new characters are released? Because some magazines announced Trixie as the next figure, and with Apple Bloom and Scootaloo released there is bound to be a Sweetie Belle figure one day. Credits to Richard for the photo! Oh, wow! That is so cool! They even gave a replica of Twilight on a piece of paper (I think). You have to look closely to see it, it is slightly behind the figure. I don't live in the UK (I live in America) but if I did, I would want to buy this! Maybe someone on ebay will sell it. I hope they make the Mane 6 like this! Sadly, I live in the US :P The DIY kit looks ok, but I'm not too into it. Awesome! I'm sure it turned out great! I love the idea of painting a pony but I wish Hasbro or another company would release blank brushables to paint instead. I just don't like the molded hair. Actually, they DO make a pony you can paint! They are around funko pony sized, but they have molded hair. The idea of having a blank brushable that you can paint is awesome! Except the hair might get in the way, unless you can pop it in once done. Great idea though! I agree i don't like the molded hair on twilight! That is so cool to bad they only have this in the uk.